With Readly you can read Teach Yourself Studio Photography and thousands of other magazines on your tablet and smartphone. Get access to all with just one subscription. New releases and back issues – all included. Teach Yourself Studio Photography will guide you through all of the essential kit that you need in order to make your studio work – from lighting and backgrounds to powerful workstations for seamless editing. 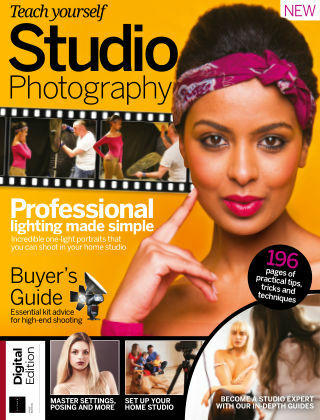 Delve into our jam-packed features and discover what to consider when setting up a home studio, learn more about professional studios and find out how to shoot like a pro too. If that wasn’t enough, we look at how to shape the light, shoot the human form and capture stunning newborn imagery.